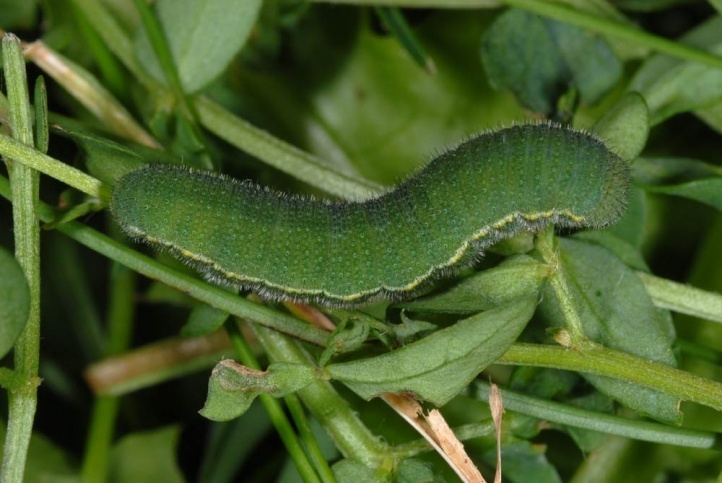 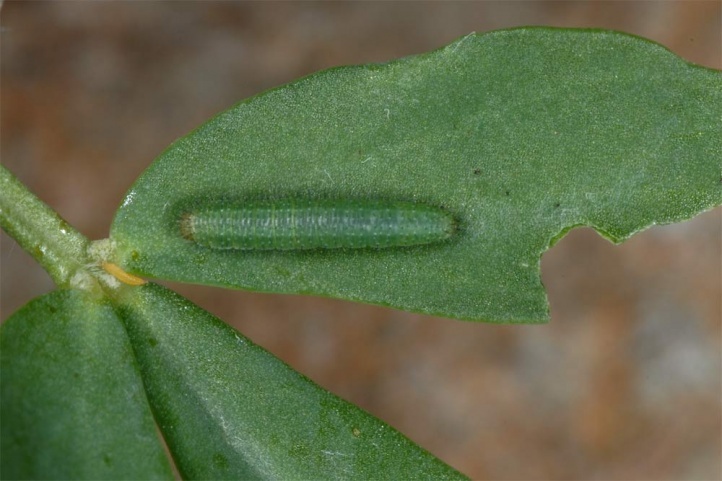 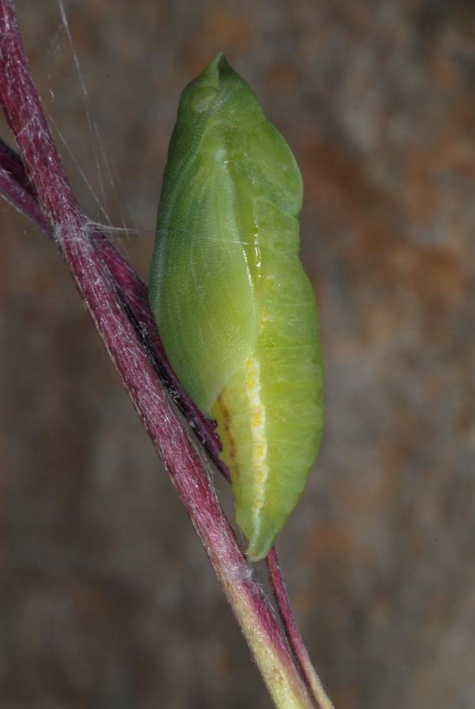 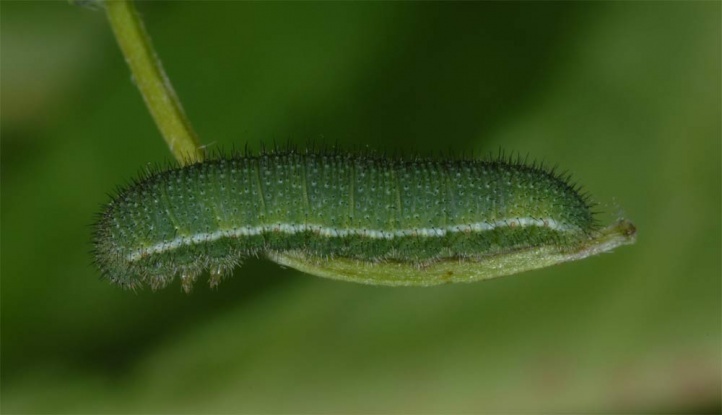 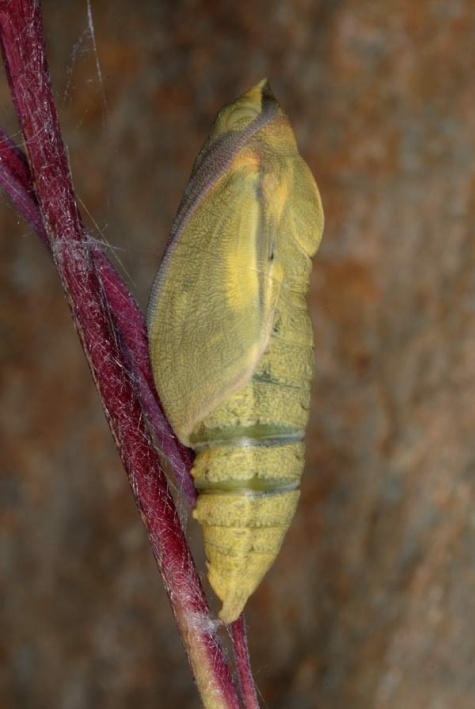 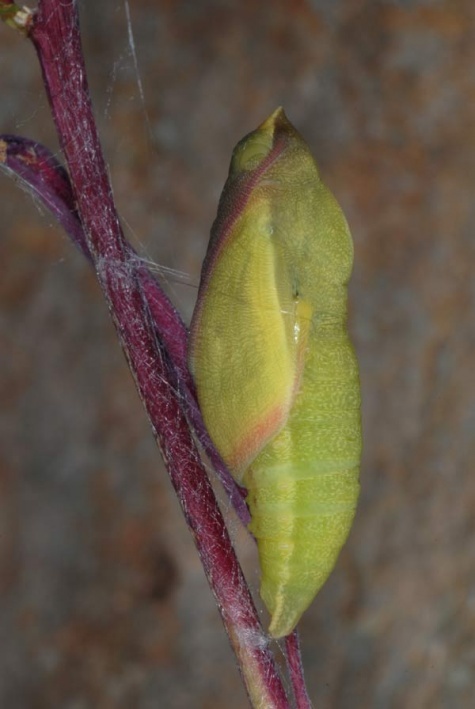 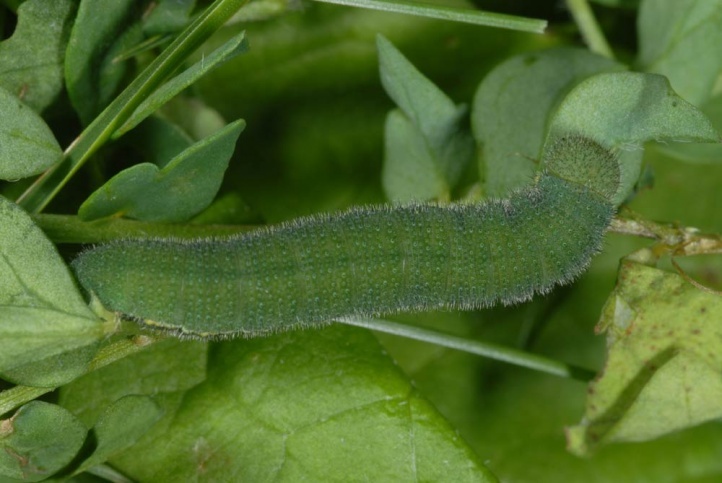 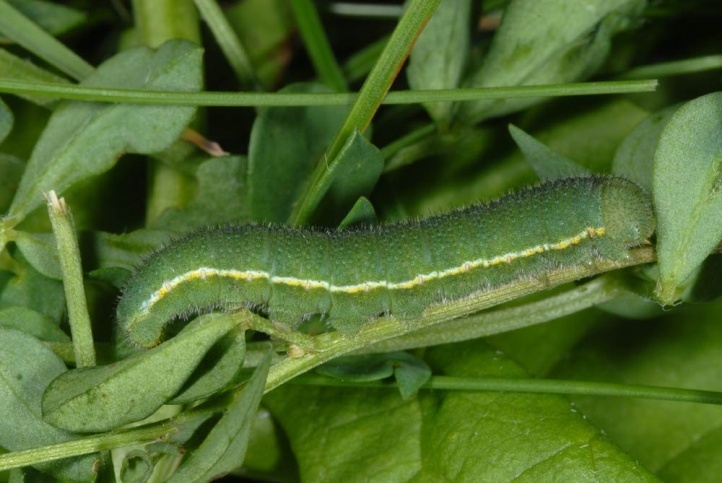 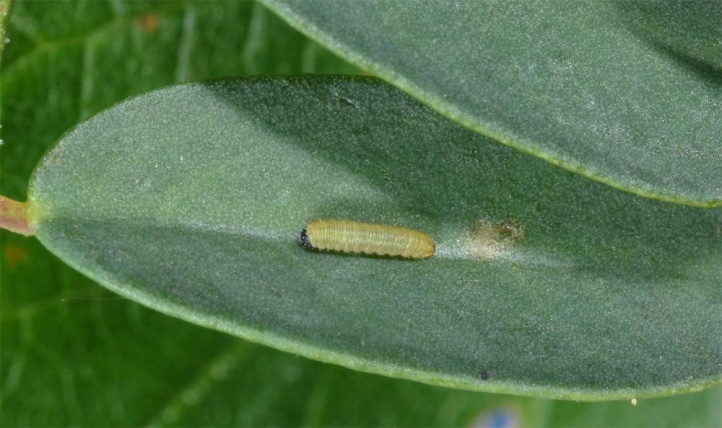 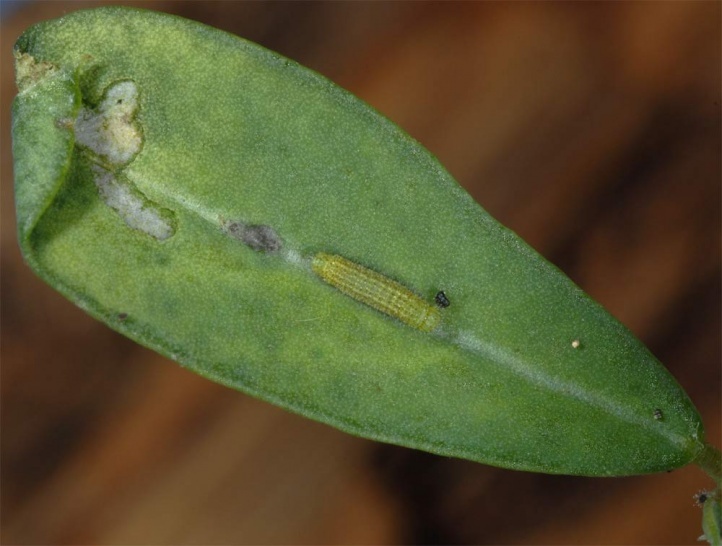 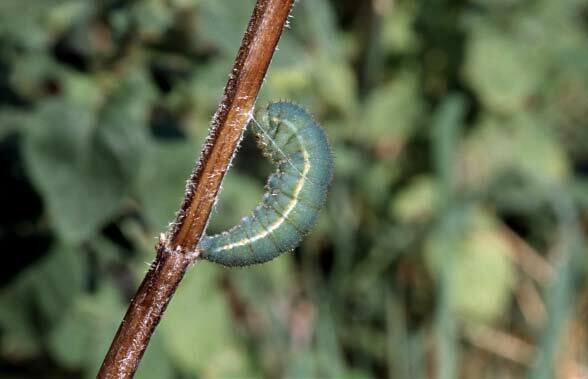 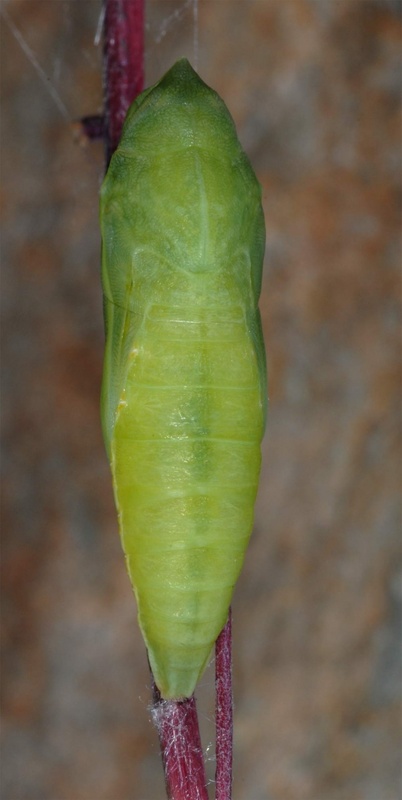 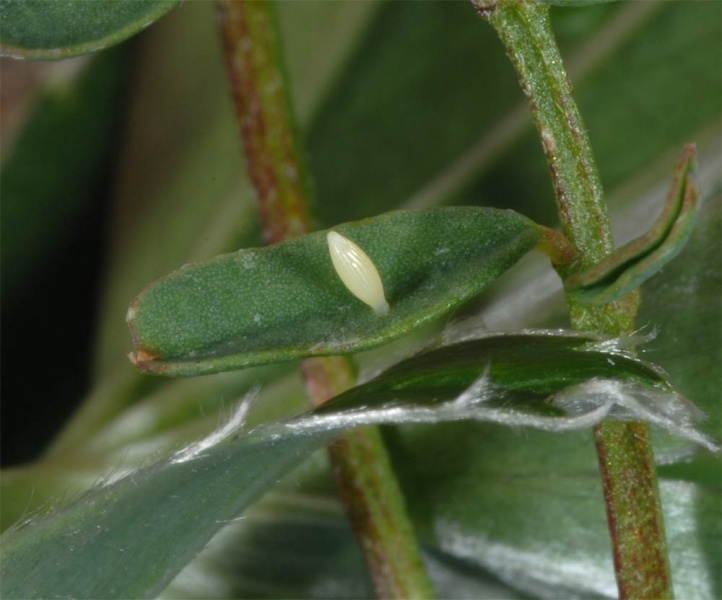 The larvae feed on many Fabaceae such as Lotus alpinus and very willingly Hippocrepis comosa. 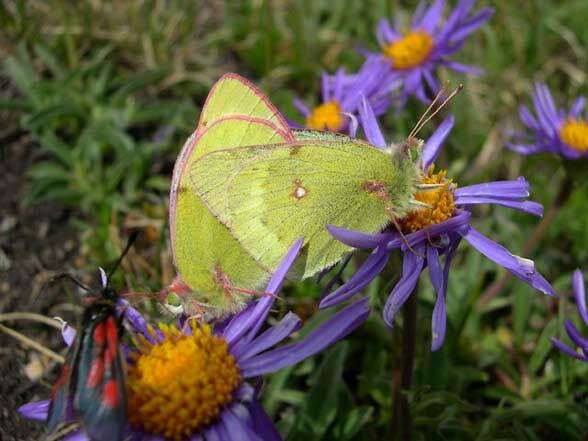 Colias phicomone inhabits alpine meadows and pastures from about 1300m to over 2400m above sea level. 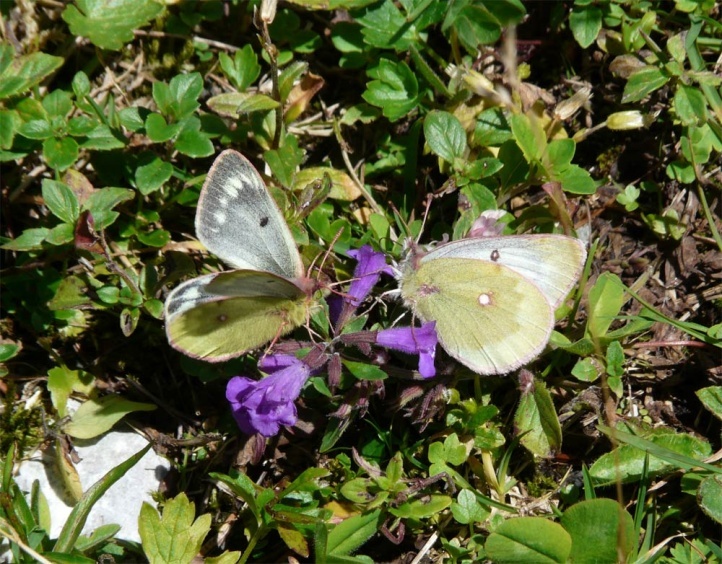 In Germany Colias phicomone occurs only in the Bavarian Alps from the Allgäu to Berchtesgaden. 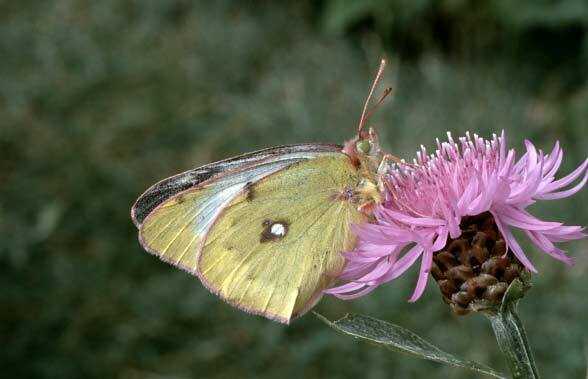 Colias phicomone is on the wing in mostly a single generation. 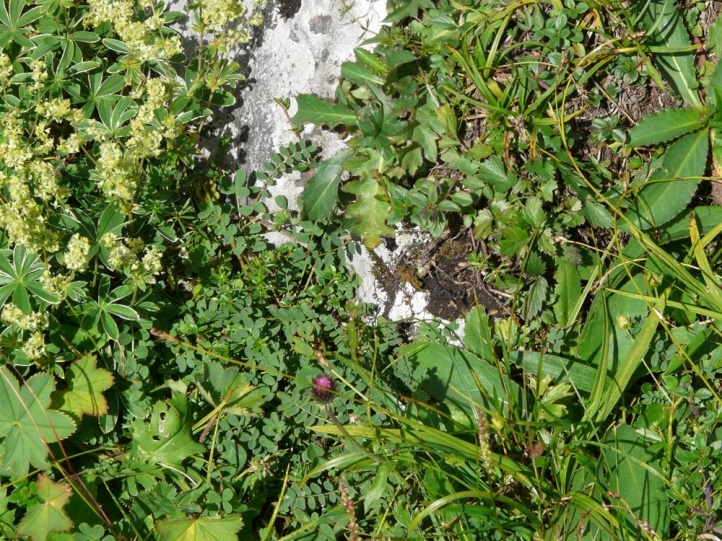 Only in the lowest sites there is rarely a partial second generation. 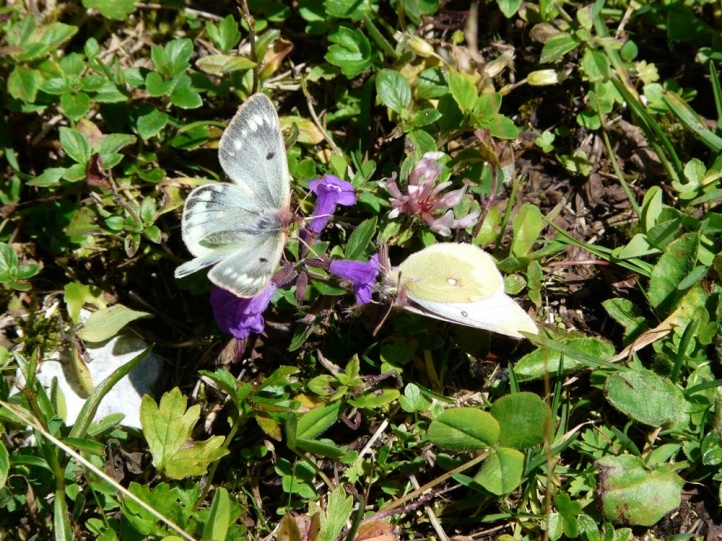 The adults fly from June to August or rarely September. 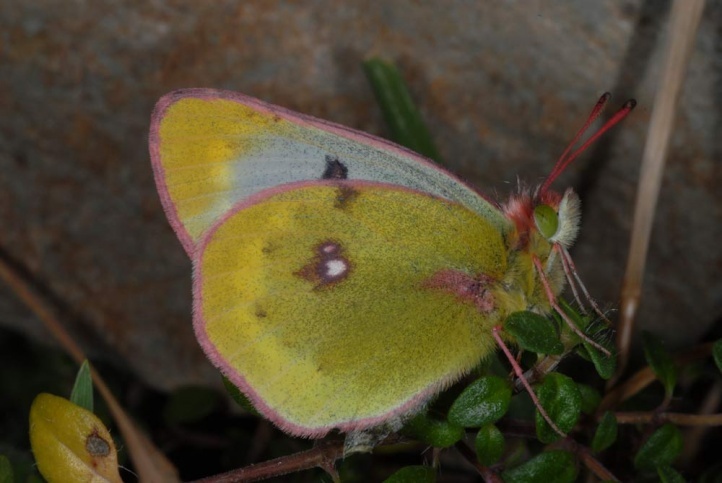 Colias phicomone is unthreatened, even if losses are suffered through tourism (skiing, other infrastructure) and overgrazing. 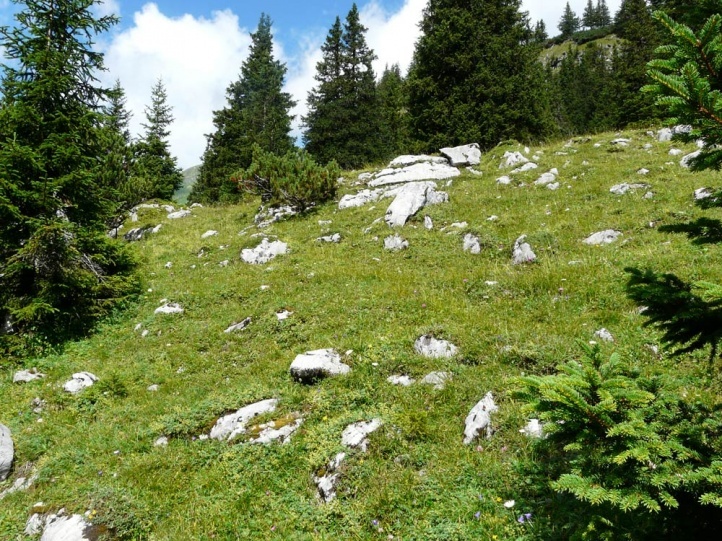 The distribution covers the Cantabrian Mountains, the Pyrenees, the Alps and the Carpathians.